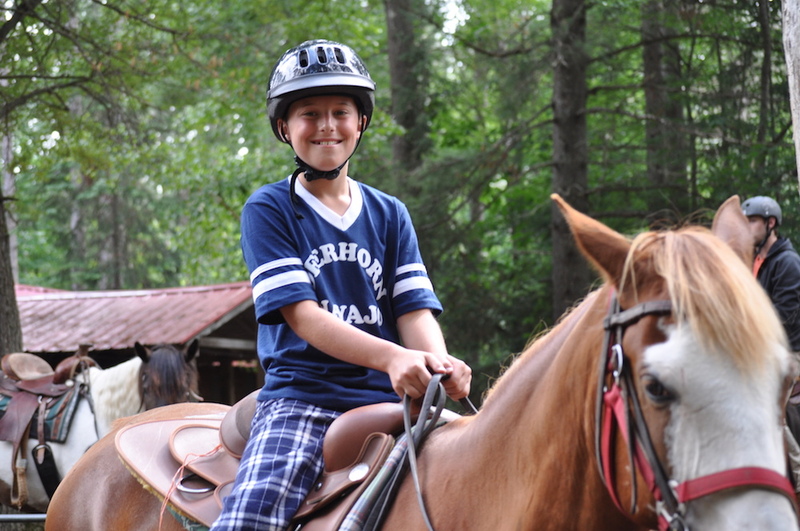 At Camp Deerhorn, our primary focus is improvement in activities. 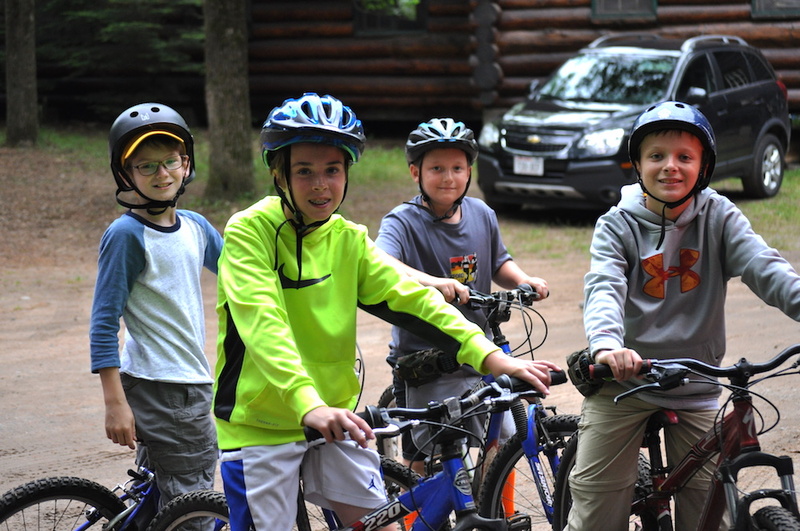 Boys are put in groups of kids by age, and they have a schedule they will follow of 6 activities on Monday, Wednesday, and Friday, and the other 6 activities on Tuesday, Thursday, and Saturday. The only activity they get to choose is horseback riding or golf. This schedule allows boys to try (and like!) new activities that they might not if given the choice. Archery is one of the more popular activities. After campers gain some experience shooting from 20 and 30 yards, they can use the field course. 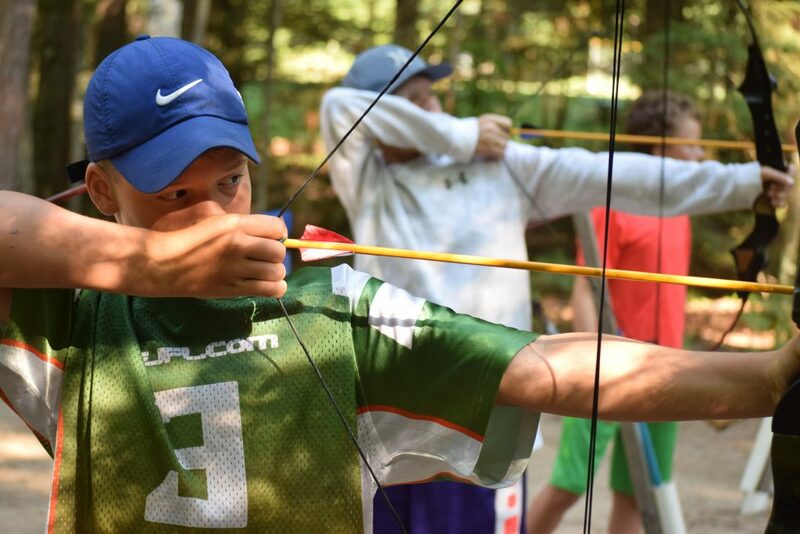 The archery field course is eight separate targets on a trail through the woods. Basketball scrimmages will be the highlight of basketball class. 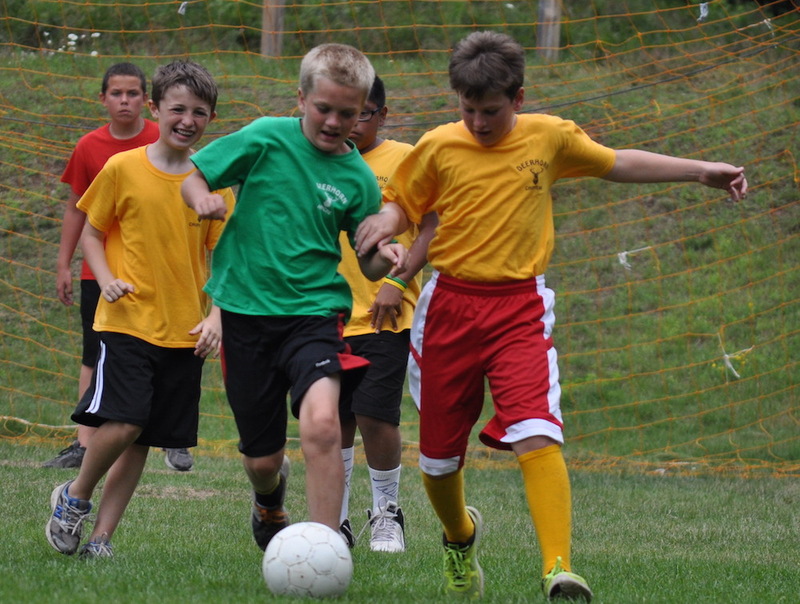 Campers will also refine their skills and learn shooting, passing, and defense. 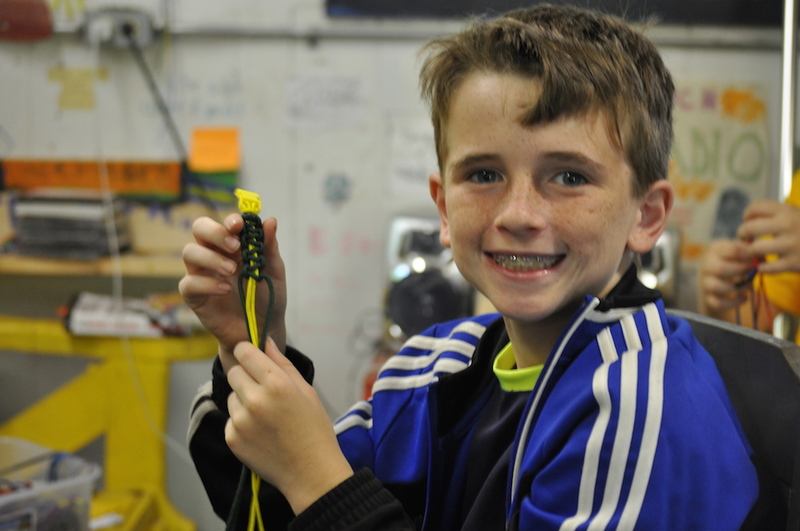 In crafts class, boys will make their own projects. Wood, tie-dyes, and beads are camper favorites and originality is stressed. 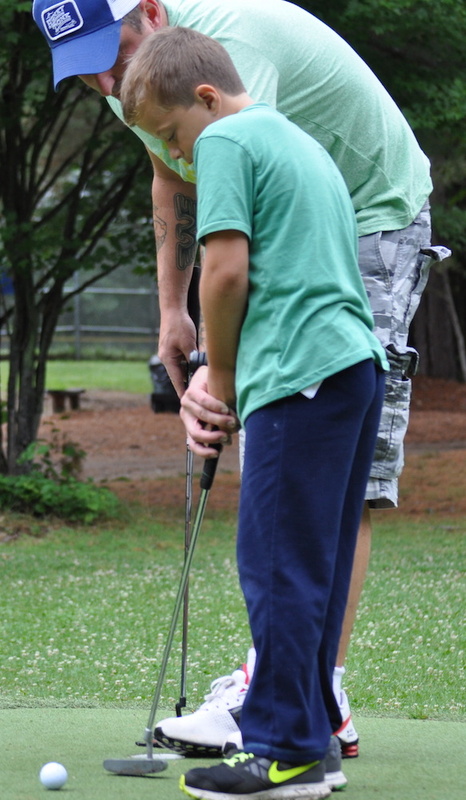 Campers will learn the sport of golf from many angles. They will learn to putt, chip, and drive. They can shoot from tees in the driving range, practice getting out of the sand trap, and work on chipping into a bucket thirty feet away. Not all campers take horseback riding as it is a paid extra activity. Those who do take riding report that it is their favorite activity. Boys will learn grooming techniques and participate in western style trail rides. Those boys who choose not to do horseback riding will do golf for the entire session. 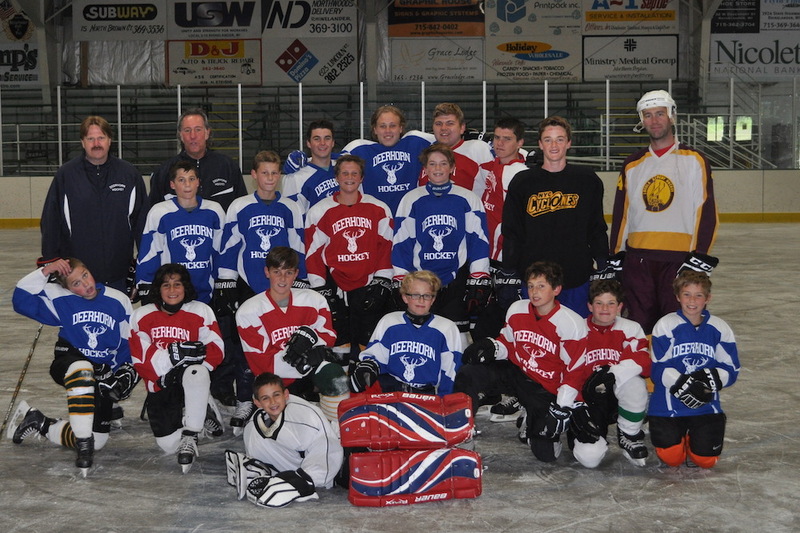 Deerhorn hockey camp takes place during the B two week session. It lasts only 5 days and campers are on the ice for 90 minutes per day. While skills are definitely improved, the primary focus of hockey camp is having fun. Mountain biking was introduced in the late 1980s and became a well-liked activity. Campers get to see secluded Deerhorn wilderness by using single track trails. 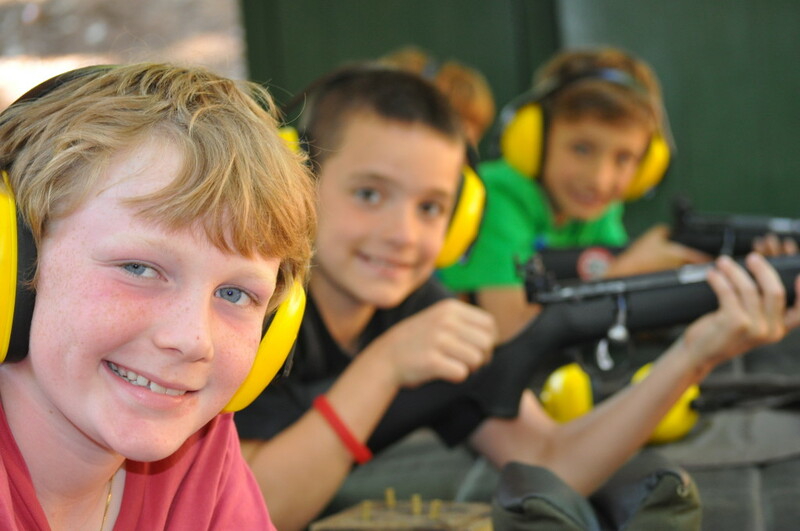 Riflery is another favorite activity among campers. Campers shoot for awards on our standard fifty-foot range. Once campers master shooting from the prone position, they progress to sitting and kneeling. For the past 30 years, sailing has ranked as one of the top activities. 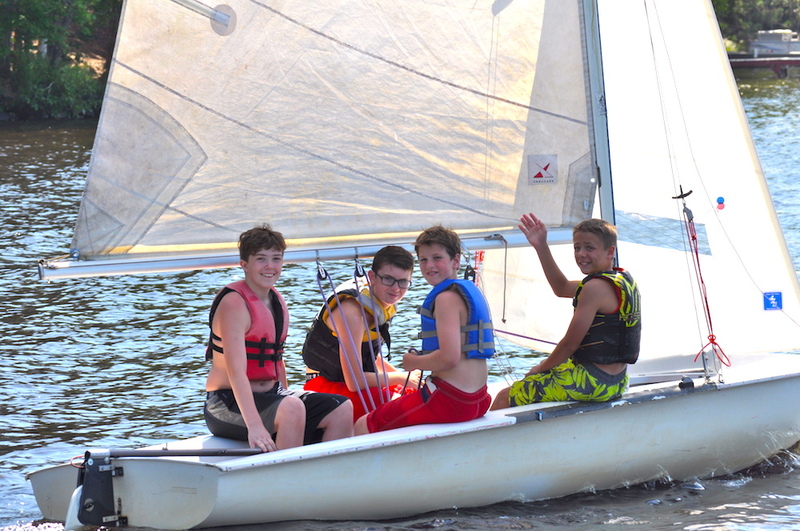 Campers will begin by learning to sail the bigger boats (Lasers and 420’s) with instructors. Once they have demonstrated proficiency, they can sail the Sunfish alone. In 2013, we added a Hobie Cat to our sailing fleet as well. Boys can also try windsurfing in sailing class. 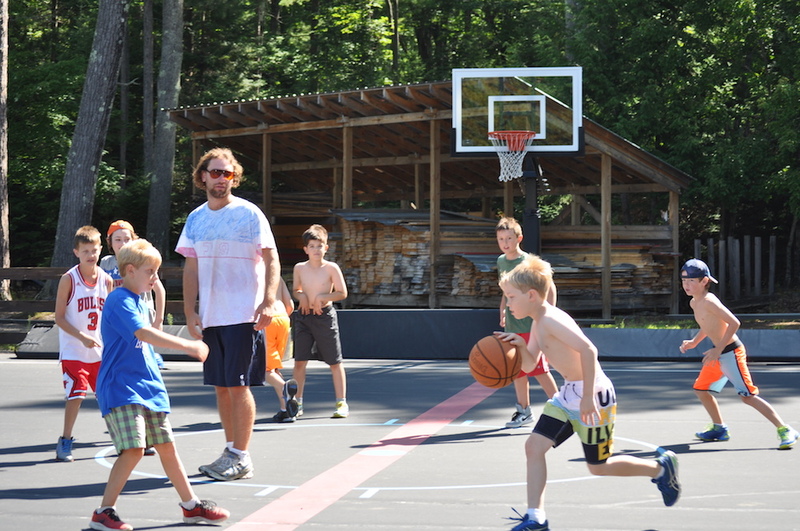 Sports & Games is the newest activity at Camp Deerhorn. It combines traditional activities like baseball, soccer, football, & lacrosse with not-so-traditional activities like Ultimate Frisbee, Quidditch, Slip & Slide Kickball. Our counselors are creative and enthusiastic and have made this activity easily one of the most popular in camp. 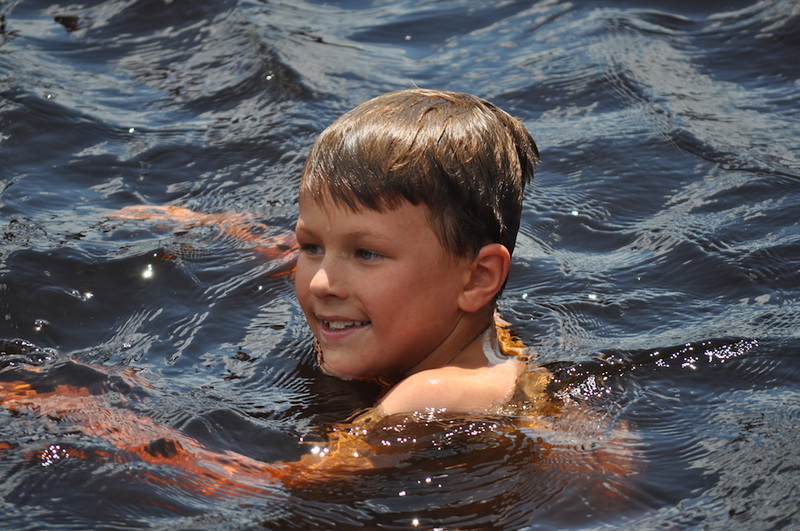 During swim class, campers will learn stroke techniques, survival skills, and become stronger swimmers. Popular activities during swim class also include going down the waterslide and jumping on The Rave, the water trampoline. 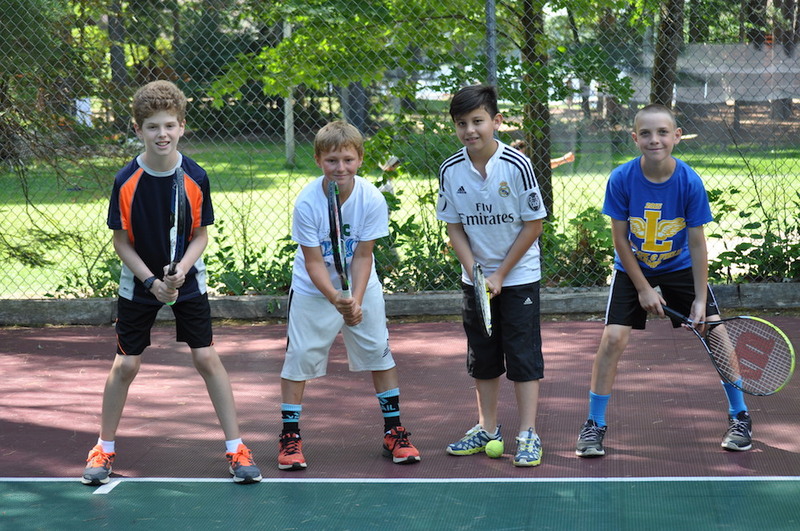 Learning tennis skills through the use of games and the “Lobster,” makes this activity exciting and challenging. Our tennis counselors also organize a tennis tournament every session. 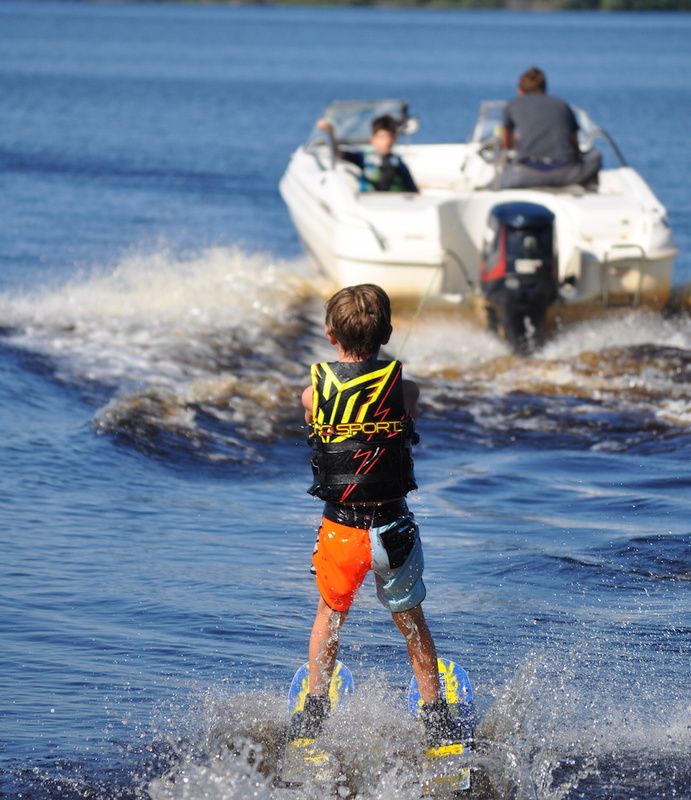 Since the early 1990’s, water skiing has taken over as the most popular activity. 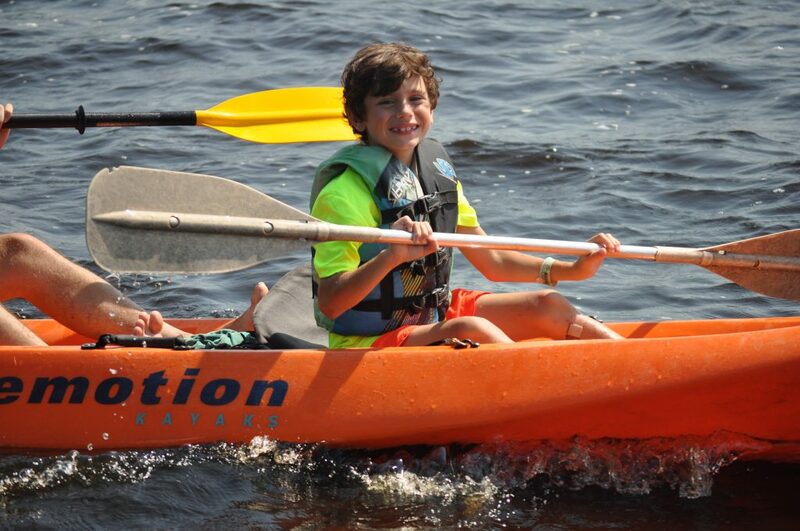 Campers have the opportunity to water ski, kneeboard, and wakeboard. For more pictures of activities at Camp Deerhorn click HERE.